Practice the PNF stretching technique "contract-release" by contracting the hamstring as you push the leg into the strap. Then, release your arms to resist the motion. Hold 15-30 sec. Focus on keeping a neutral pelvis and keep your arms squeezed in by your sides. Hold 15-30 sec. Find length in the neck and lower spine as you fold over your legs. Hold 15-30 seconds. To keep up the daily demands of the profession, dancers and athletes should implement a routine of rolling and self massage to keep the muscles supple and strong. Use the small, tan massage balls to roll out the metatarsal & heel area to prevent foot injuries. Use the soft, medium massage ball on the calf and achilles tendon. Slowly roll to find points of tension, hold for 15-30 seconds and release. No one likes cold, sore muscles. 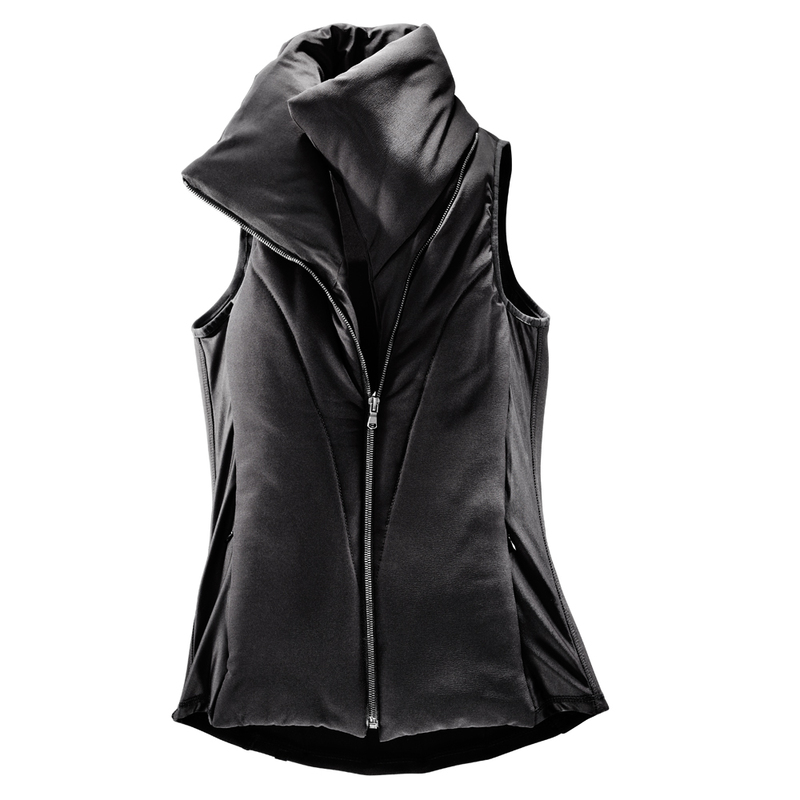 Keep warm from class to rehearsal in the Odile Vest.